Federal grants are a form of financial assistance which the government issues out of its federal revenue reserves. These grants are issued to organizations that are not part of the federal government and who would carry out certain work on behalf of the Federal government. However, such organizations are autonomous bodies and they are not bound by the policies and laws that apply to a government agency, nor do they receive the protection that the Federal government agencies are entitled to. Such work that is carried out by the grantee is under authorization of the law of the United States. Those educational institutions, public housing organizations, non-profit organizations, and individual governments who plan to undertake and execute major projects for the betterment of the citizens are awarded federal grants to enable them to achieve their goals. 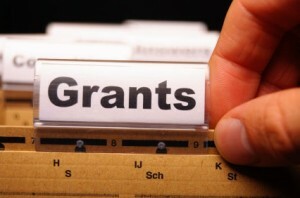 Individuals can apply for grants that are open under the category for individuals. The individual is required to put in the application, and sign the necessary certifications and assurances that are mandatory for the process. Some grant projects include projects undertaken to provide assistance during natural calamities, some grants form new businesses to a blighted downtown area, and some grants are allotted for community betterment projects. The projects that are eligible for grant funds are publicly determined by congressional legislation. A variety of different federal committees are given permission to offer grant money; in total, there are 26 agencies that are bestowed with this economic privilege. These priorities range from energy development to disaster relief. In fact, some of the most substantial deliverers of these funds are from the National Institutes of Health. Their initiatives for Hurricane Sandy repairs are still searching for direction on the official grant website of the United States, which was instituted in 2002. This is the central location for all prospective grantees to tender customized applications that detail the complete basis of their professional qualifications. It is a streamlined resource that compiles all allocated funds into a singularly convenient location. Funds allocated for the federal grants become available after the federal budget is approved. Grant projects that have been approved and announced, are featured in the Catalog of Federal Domestic Assistance (CFDA). All grant and aid projects listed in the CFDA are posted online at the government website. Organizations that have received federal grants are subject to strict scrutiny. It is mandatory for such organizations to meet the performance standards set by the government during the duration of the project. Expenses incurred during the ongoing project must be strictly accounted for as the government conducts an annual detailed audits of the funds availed during the period. Any funds that are unused during the course of the project go back to the treasury. The programs should be carried out as scheduled in the grant application, and any changes that are needed to be incorporated need prior approval of the concerned government authorities. The project undertaken has to be successfully completed as scheduled. If the federal grants recipient is unable to deliver as stated in the grant application, they can be imprisoned for misuse and theft of public money or economic sanction could be imposed on them. The violators may be even be blacklisted. As long as the funds are used properly though, there can be a lot gained from this form of federal assistance.